If you are habitually resident in Finland and consider adopting a child from abroad, you should contact a provider of intercountry adoption service. The Finnish missions abroad are responsible for providing general guidance and advice on adoption matters, legalisation of adoption documents and other notarial services, and executive assistance to Finnish authorities. 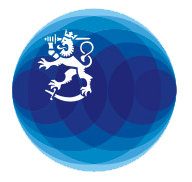 See the website of the Ministry of Social Affairs and Health for an overview of the adoption process in Finland. The Adoption Board operating under the National Supervisory Authority for Welfare and Health (Valvira) grants permission for both domestic and intercountry adoptions. An adoptee under the age of 12 will automatically acquire Finnish citizenship if at least one of the adoptive parents is a Finnish citizen and the intercountry adoption is valid in Finland. A passport for the child can be applied for at the nearest Finnish mission. For more information on the travel documents, please contact the Visa Unit or Passport Unit of the Ministry for Foreign Affairs. A child over 12 years of age may acquire Finnish citizenship by citizenship declaration. A citizenship declaration concerning a minor child may be submitted by the child's custodian or guardian. Whether the child continues to hold the citizenship of his or her country of origin depends on the legislation of the country in question.